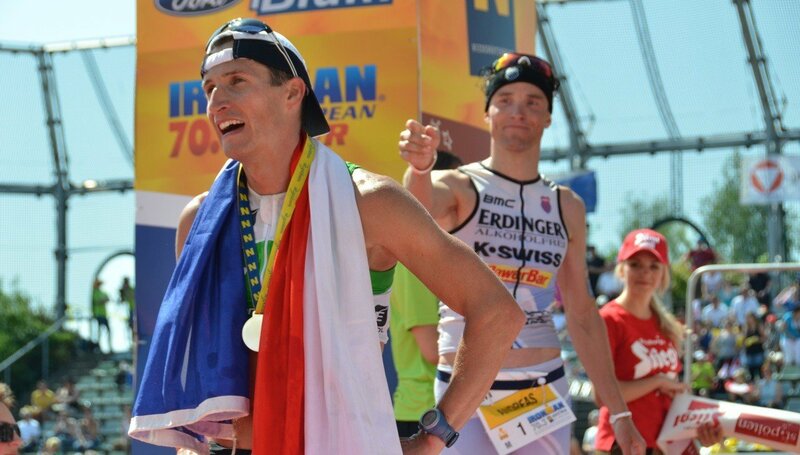 Andreas Raelert has shown a successful start into his season at Austria Ironman 70.3 in St. Poelten. In his first race of the year the world record holder on the Ironman distance finished in second position. "The competition was tough – and a very important initial assessment of my training", the 35-year-old said after the race. During the final run he was only beaten by Filip Ospaly from Czech who claimed his third title in a row in St. Poelten. "It was my first race since Kona”, Andreas Raelert said after he had raced against an international first class pro field. “I'm pretty happy with this start into my season.” Andreas Raelert crossed the finishline after 3:55:24 hours – only 39 seconds behind Filip Ospaly. "Filip Ospaly is a brilliant runner and in great shape at the moment", Andreas Raelert mentioned, "Filip has already shown strong races this season. The race here in St. Poelten is something like his living room." But Ospaly had to fight hard for his third victory in St. Poelten – during the final half marathon Andreas Raelert came very close and was only some meters behind the czech specialist on the Ironman-70.3-Distance. "This race was a very good proof for my shape", Andreas Raelert said at the press conference, "of course I would have liked to win but now I know now where I need to work in my training." In the water Andreas Raelert was some seconds behind the fastest swimmers. Denis Vasiliev from Russia came out of the water in first position after 23:16 minutes. Andreas Raelert finished the swim after 24:12 minutes but he made it up to the leaders quickly on the bike. In 2:14:48 hours he went back to the leaders and reached T2 in fifth position, some seconds behind Cyril Viennot from France. The thrilling race in St. Pölten was finally decided in a fast half marathon. Ospaly ran a brilliant time of 1:11:33 hours and thus meant the victory for him. "Filip was the better one in the run today", Andreas Raelert said appreciatively. Andreas Raelert also managed to run a brilliant half-marathon in 1:11:53 hours and took second place ahead of Cyril Viennot from France. 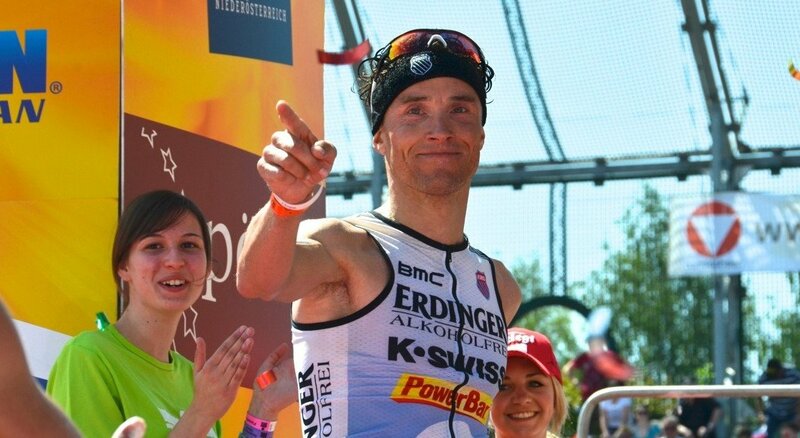 In St. Poelten Andreas Raelert was absolutely thrilled by the atmosphere at the Austria Ironman 70.3 and by the cordiality with which he was received in St. Poelten. "The whole weekend was filled with an incredible atmosphere", Andreas Raelert said, "I would like to thank especially the fans in St. Poelten, all the organizers and helpers for a perfect preparation of this outstanding competition and the unique atmosphere." 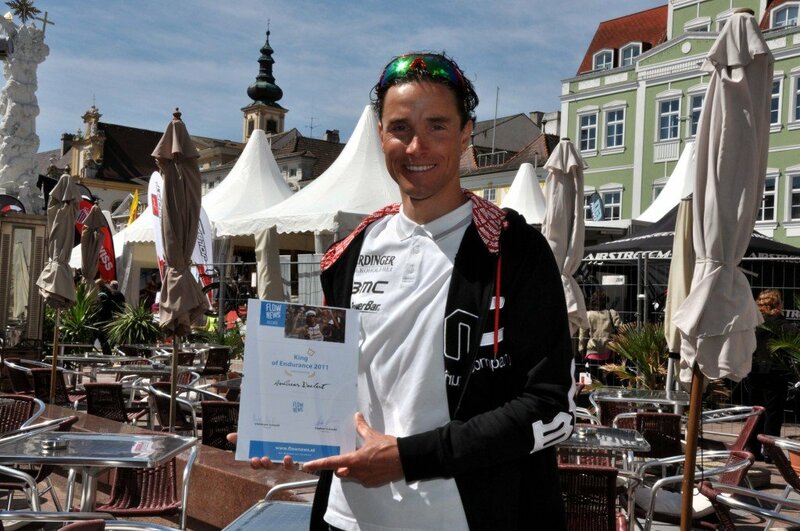 Even before the race Andreas Raelert was honored by a readers-award of Austria's sports portal Flowsports as "King of Endurance 2011". "This award is a great honor for me", Andreas Raelert said, "I take this award as a great motivation for my season."